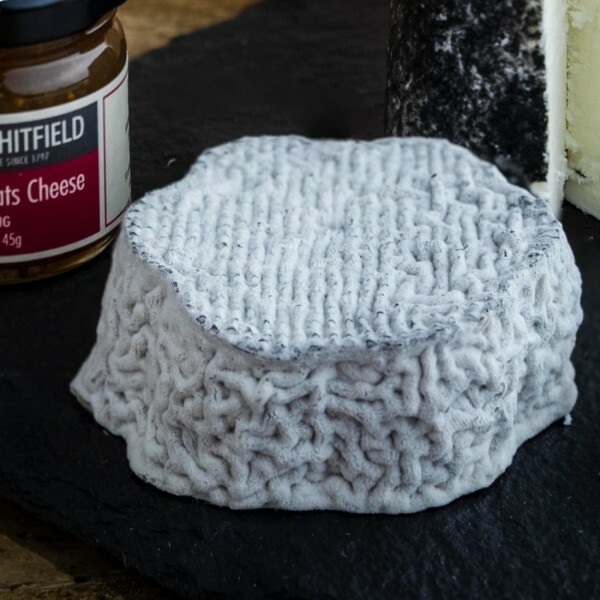 A pretty, soft French speciality goats' cheese with a natural rind and creamy delicate flavour. Fleur de Sologne is produced in the heart of the Sologne region in Central France and the Loir et Cher. The cheese has gained its name from the Solognes a typical forested landscape with numerous small lakes, making the region lush green and fertile with an abundance of flowers. The abundance of flowers is the inspiration behind the shape of the cheese. The Fleur de Sologne is a white, delicate soft goat’s milk cheese with a fine, smooth body and pleasing mild goat’s flavor and covered in Ash. The perfect wine paring is a dry white wine from the Loire such as a Sancere, Pouilly- Fume or a Savennieres.